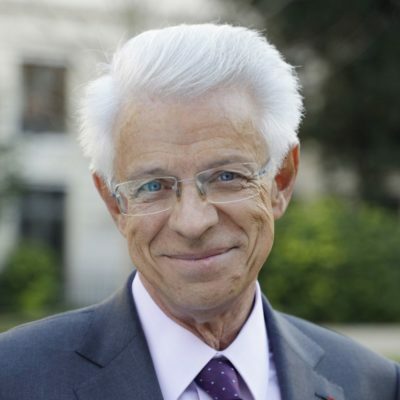 Chairman of the Paris Île-de-France regional chamber of commerce and industry as from December 1st 2016, after he served as Treasurer, Didier Kling was born on May 1st 1949 in Boulogne-Billancourt. He holds a master’s degree in law and is graduated from the “Institut d’études politiques” of Paris. Chartered accountant, he is CEO of Cabinet Didier Kling Expertises et Conseils (as from 1987) and contributed to create Crowe Horwath International, ranked among the top 10 global accounting networks. Kling & Assiociates is member of Crowe Horwath International. At the same time, he is Chairman of the Company of experts accredited by the Court of cassation (Compagnie des experts agréés par la cour de cassation) (as from August 2010), as well as of the CNCEF, National Chamber of financial advisors and experts (as from 2004), and Honorary President of the CNCC, National Council of External Auditors. He also sits on the boards of several institutions, including the “Institut Français des Administrateurs” (IFA), VIPARIS, COMEXPOSIUM and SIPAC. He is « Chevalier de l’Ordre national du mérite » and « Officier de l’Ordre national de la Légion d’honneur ».